Taps for money is a free, fun, and easy way to get gift cards! You have the ability to earn $15 gift cards by simply playing games. You can also get $15 sent straight to your PayPal account! Here’s how it works: Earn taps by growing your Money Flower, Money Tree, and Money Farm. Once you reach a million taps, a screen will pop up for you to enter in your email address and what gift card you want. And BAM! Within a month you’ll have that e-gift card in your inbox! 1) The more taps you have, the less pop-up ads will show. 2) If you try and complete all the taps in one day, you are going to wear yourself out. Try to do taps in intervals. For example, do 10,000 a day and you’ll have $15 in no time! 3) Play while you are doing things such as watching TV, taking a break during a video game, or sitting in a car (obviously not while driving). 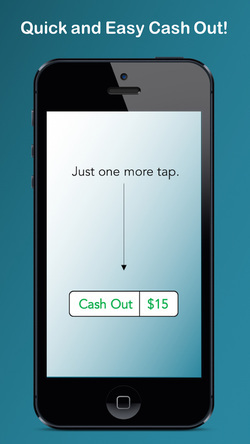 Anyone can make $15, all you have to do is tap. Anyone can earn a daily prize, the more tickets you submit, the better your chances of winning! 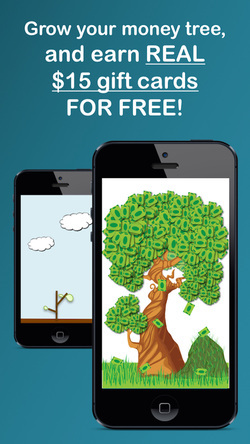 Grow your money tree and harvest your money farm for extra taps!